Theeyal is a typical Kerala dish similar to South Indian kulambu. 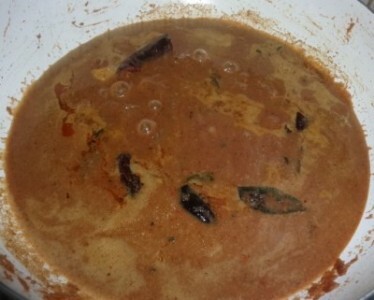 This is included in traditional sadya menu.there are several versions of theeyal according to the regions. The main ingredient is roasted coconut. 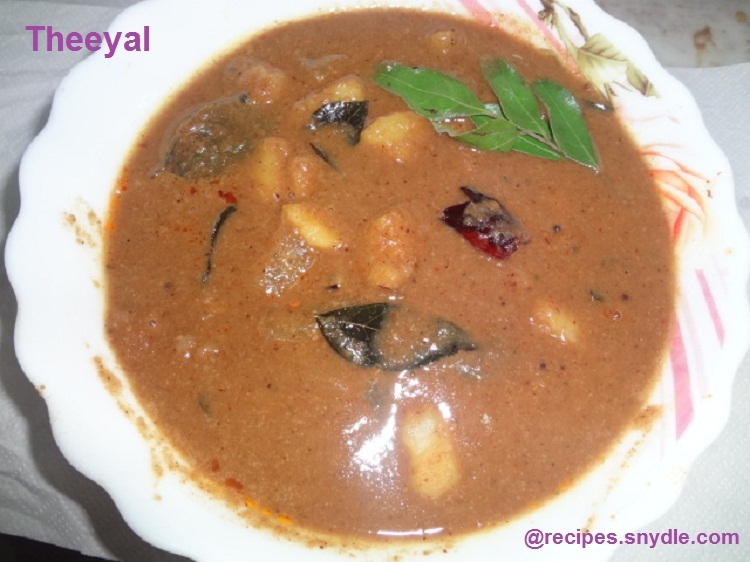 We will celebrate this Onam with this special theeyal. Without theeyal Onam Sadya will not be completed. 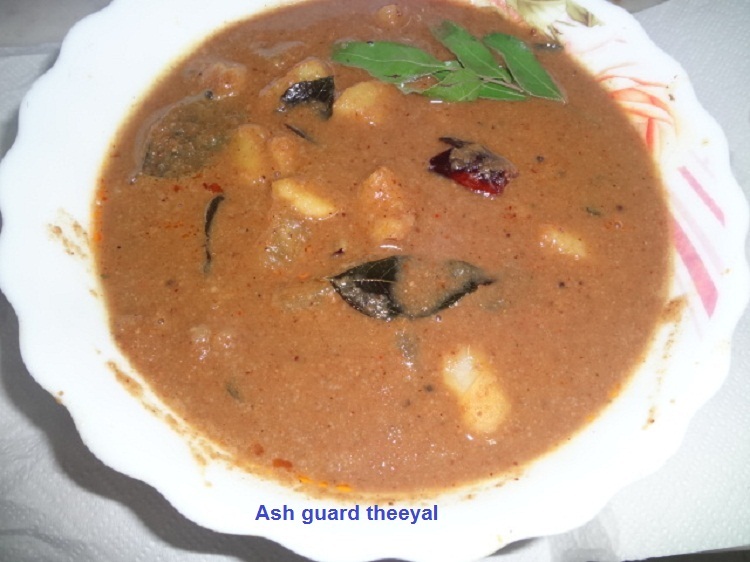 This is my sisters recipe,Thiruvalla style of making theeyal. 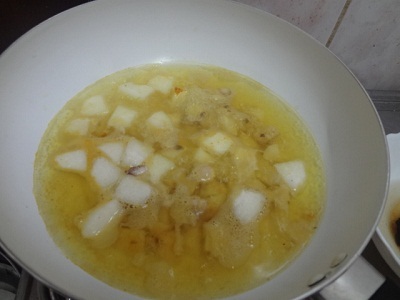 I cooked colocosia with turmeric and salt to remove an enzyme,that causes itching. 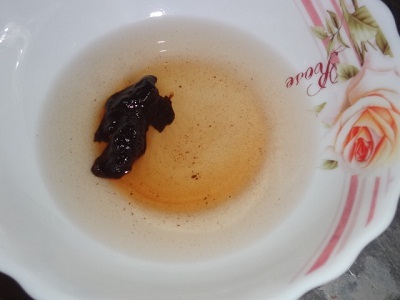 Soak tamarind in warm water,strain and keep aside. 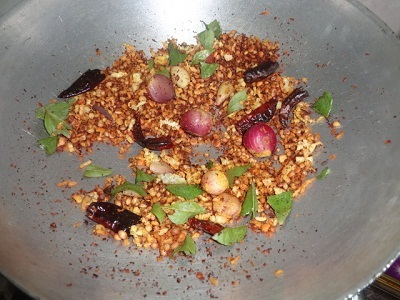 Roast coconut, red chilly,coriander, asafoetida and sambar dhal for 3 minutes. 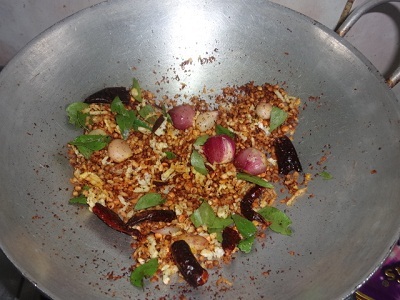 Add shallots and curry leaves. When it is slight brown add turmeric powder. Roast till it comes brown. Allow it to cool. 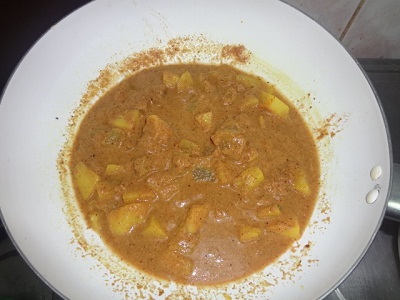 Cook ash guard and colocosia with salt and turmeric powder. 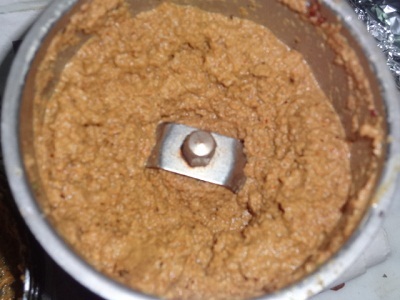 Grind the roasted items into smooth paste. 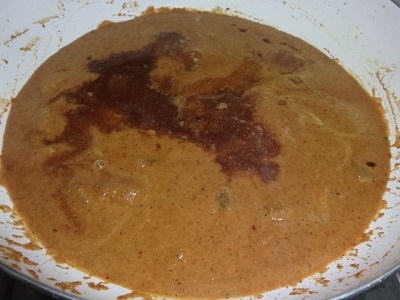 Add the ground paste and boil for 5 minutes. 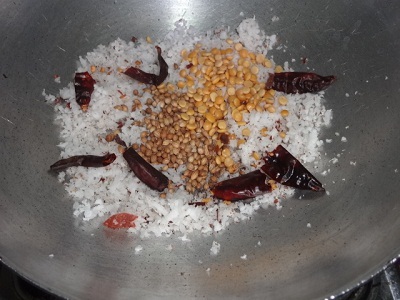 Temper with mustard seeds,red chilly and curry leaves . Add into the curry.